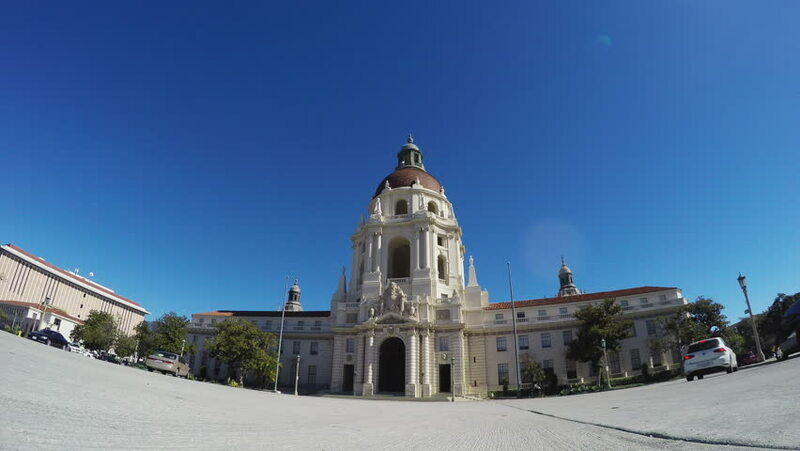 PASADENA, CA/USA: February 21, 2016- Wide angle shot of the famous Pasadena City Hall building. Low angle provides view of Spanish Colonial architecture with a central domed tower. hd00:08Museo Centrale del Risorgimento Capitoline Hill, Rome, Italy timelapse.